What is a Junior Grower? A Junior grower is under age 18 at the time of the show. The junior grower must provide basic care of plants with the exception of spraying. 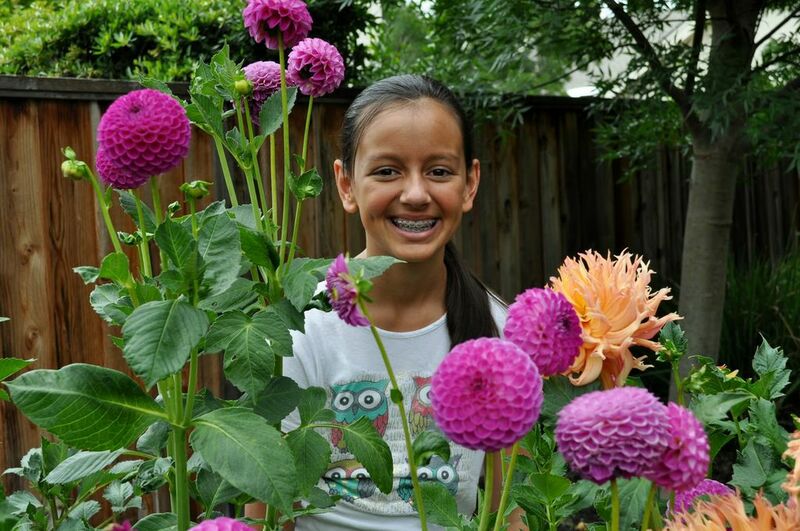 Ava, age 12, shows off her dahlias. Could your child, grandchild or special neighbor become the next Junior Grower? 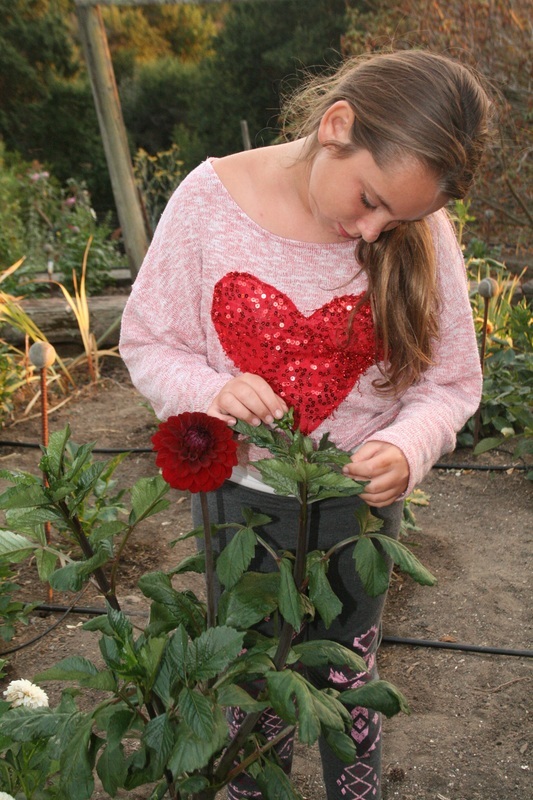 Granddaughter, Hannah, lovingly tends to her dahlia.